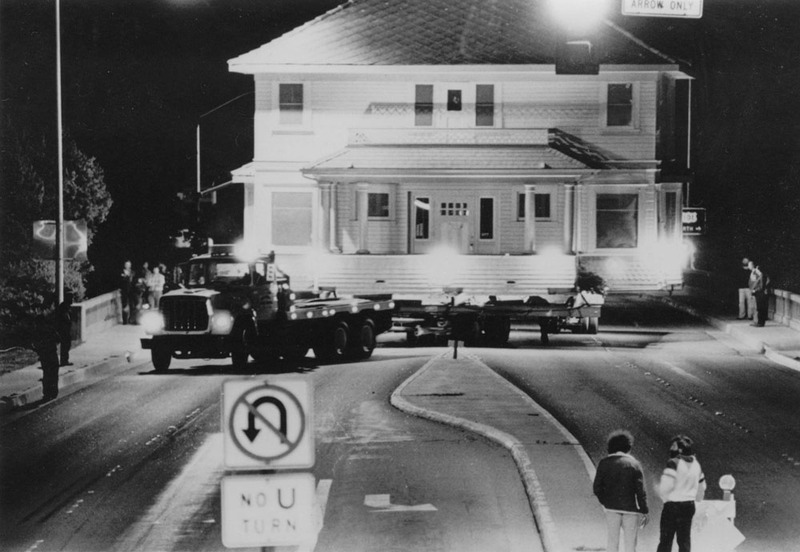 In 1980, the Heritage Inn was moved down Santa Rosa Street in San Luis Obispo at 2 am. The turn-of-century house would have been demolished if not moved to become a bed and breakfast on Olive St. Click on the photo to see a larger version. Built around the turn of the century, the Inn was originally a single family residence for the early San Luis Obispo Herrera family. The 3,000 square foot home stood at the busy intersection of Highways 1 and 101 on Monterey Street near Santa Rosa. The Herreras had a large family: Manuel was the Constable, Isbaldo the custodian at the courthouse and the oldest daughter, Juanita, worked for the Tribune Printing Company. Around 1930 the house was sold to Mr. Frank Barcellos, the owner of a local saloon, who, in turn, sold the land to Standard Oil for use as a gas station. 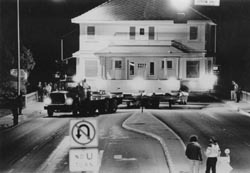 The house, fated for moving, took up its new residence on Santa Rosa Street just around the corner from its current location. The building never housed a single family again. Following Mrs. McKeen, Mrs. Easter ran the boarding house and served delicious meals in the downstairs dining room. In 1954 Mrs. Florence Elsner purchased the boarding house business and rented out nine rooms to mainly college men. When the County purchased the home from the Barcellos family in 1974 it was first used as a YMCA and later as the County Facilities Office. In 1980 Rob and Kathy Strong purchased the home at 977 Santa Rosa Street in an auction given by the County. The house had to be moved once more, this time to make room for the County’s new parking area. In a series of ironies the house, now known as Heritage Inn, took its proud place once again at the intersection of Highways 1 and 101. The new lot at 978 Olive Street, was sold to the Strongs by another Herrera family. Once again the Inn would board guests in a family-style atmosphere. 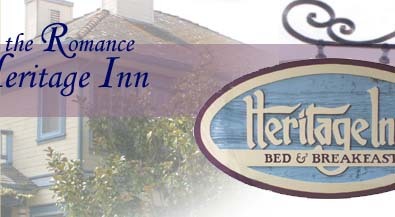 We like to think of Heritage Inn as a case of history repeating itself! Mr. Tony Herrera, Mr. Charles Herrera, Mrs. Elizabeth (Herrera) Whitney, Mrs. Eileen McCabe Hull, Mrs. Mary O’Daniels, Mrs. Mary Fisher, Mrs. Florence Elsner, Mr. McKeen, Mrs. Margaret Muzio, Mr. Ardell Breakly, and Mrs. Kathy Strong.